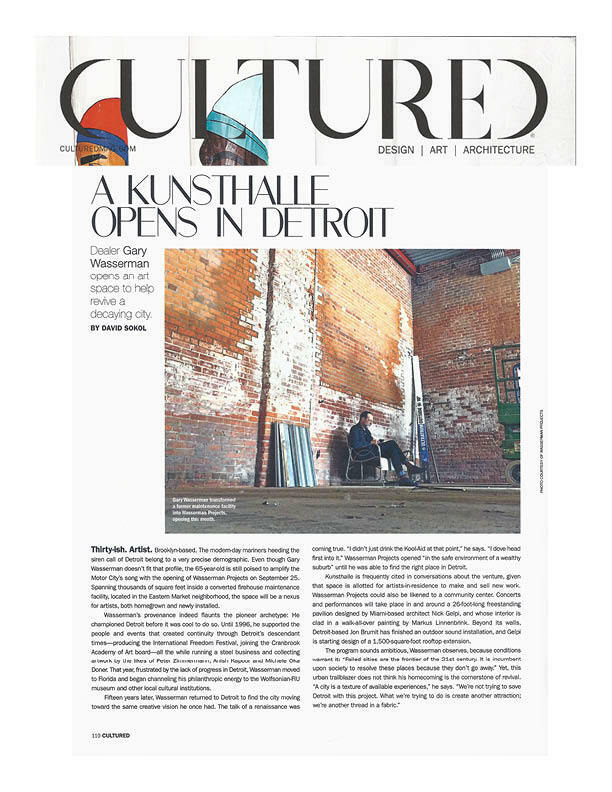 In 2015, SGLA helped establish Wasserman Projects as an exciting new interdisciplinary gallery in Detroit. We promoted the space, its founder Gary Wasserman, and its evolving program of art, design, and music. The launch received extensive coverage by local and national press, including Cultured Magazine, The Wall Street Journal, Curbed, and Cool Hunting. We also secured articles on exhibitions like Desire Bouncing, which featured on TL Magazine, ArtfixDaily, Artforum, Detroit Metro Times, and Art Detroit Now.